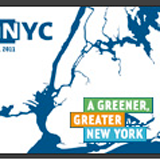 PlaNYC is a citywide sustainability plan that reflects the vision and objectives of the Bloomberg administration. Although the first version of the plan (released 2007) did not mention urban food production, a recent update (released 2011) stated that sustainable food systems are critical to the city's well-being. PlaNYC also acknowledged that urban agriculture provides valuable open space in communities with few or no formal parks. However, it is important to understand that PlaNYC is a vision for the city, but it does not commit City government to a particular course of action. Read more about PlaNYC. 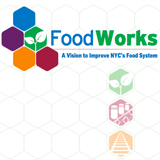 Released by City Council Speaker Christine Quinn in November 2010, FoodWorks is a comprehensive, citywide food policy paper. Shortly after it was released, the City Council passed several new local laws and adopted a resolution to implement a number of urban agriculture-related policies. Read more about FoodWorks. 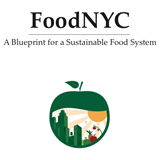 "FoodNYC: A Blueprint for a Sustainable Food System" is a white paper issued in February 2010 by Manhattan Borough President Scott Stringer. The report outlines a package of proposals that will make New York City's food system more sustainable by prioritizing products from New York State, increasing access to healthy food in underserved neighborhoods, and expanding the food economy. Read more about FoodNYC. 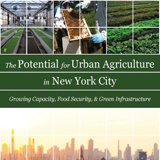 Published by Columbia University's Urban Design Lab in 2011, this policy document highlights opportunities to expand urban agriculture citywide. Read more about Columbia's report. 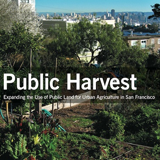 "Public Harvest: Expanding the Use of Public Land for Urban Agriculture in San Francisco," released in April 2012 by the San Francisco Planning & Urban Research Association (SPUR), offers 11 recommendations to expand and coordinate the city’s institutional support, increase funding and provide more access to public land. Read more about Public Harvest. 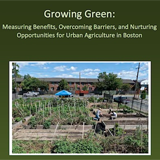 Released in July 2012, "Growing Green: Measuring Benefits, Overcoming Barriers, and Nurturing Opportunities for Urban Agriculture in Boston" is a report that details the economic development potential for urban agriculture in Greater Boston, assesses its environmental and health co-benefits, and examines current market and policy barriers to expanded food production in Greater Boston. Read more about Growing Green. The Metrics Fellow conducted extensive research on existing literature linking urban agriculture activities to various benefits. This PDF compiles all the citations, sources, and an appendix for this research. Download the Metrics Annotated Bibliography. This document was created by the Metrics Fellow to provide more detailed information about the indicators, such as relevant methods for data collection, definitions of key terms, calculations, and links to sample surveys. It is meant to be a resource for farmers and gardeners interested in collecting and tracking their activities. 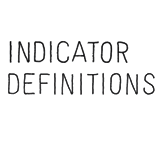 Download the Indicator Definitions spreadsheet. How did you find out about Five Borough Farm?